The Bully Zero Annual Charity Ball will take place on 13 October 2018 at Peninsula, Docklands, Melbourne. 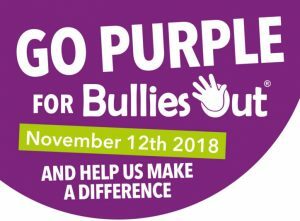 All proceeds will benefit Bully Zero, an organisation that exists to protect and empower Australians to live fulfilling lives free from all forms of bullying. We hope you will join us for this evening of great company, dinner and dancing while benefitting a great charity. At Bully Zero we encourage and advocate for inclusion, kindness, empathy and acceptance. We stand up for victims. We will not accept or tolerate victimisation, hate, intolerance of others or exclusion. We refuse to accept the status quo and we are dedicated to changing the pervasive and destructive culture of bullying that no longer ends in the school yard, or workplace but follows us home via our digital devices.